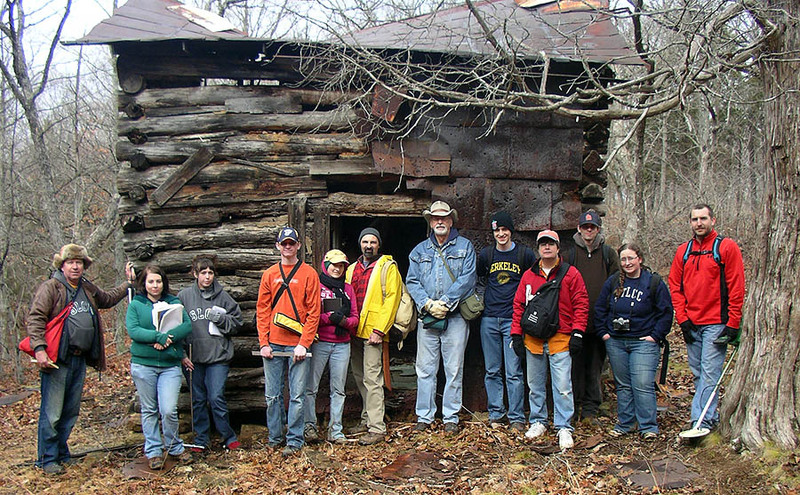 STLCC team in front of the Emp Cabin in Jefferson County, MO. 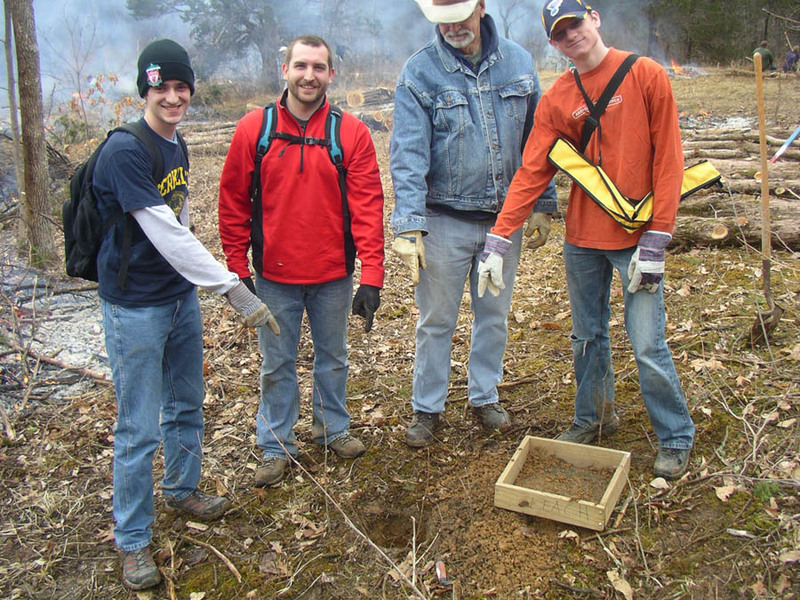 We are mapping and recording historic and prehistoric sites in LaBarque Creek which is a tributary of the Meramec River Drainage. 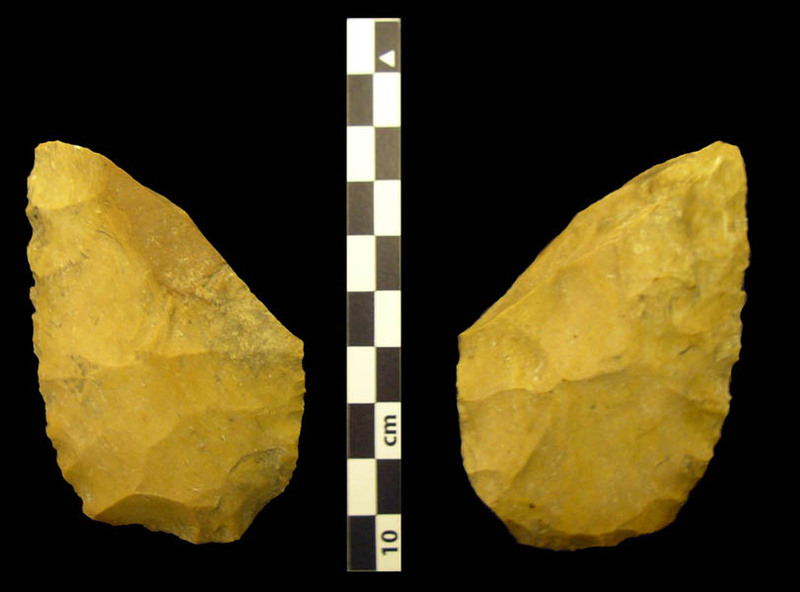 Fragment of a biface chert tool found while the ecologists were cleaning up near one of our shovel tests. 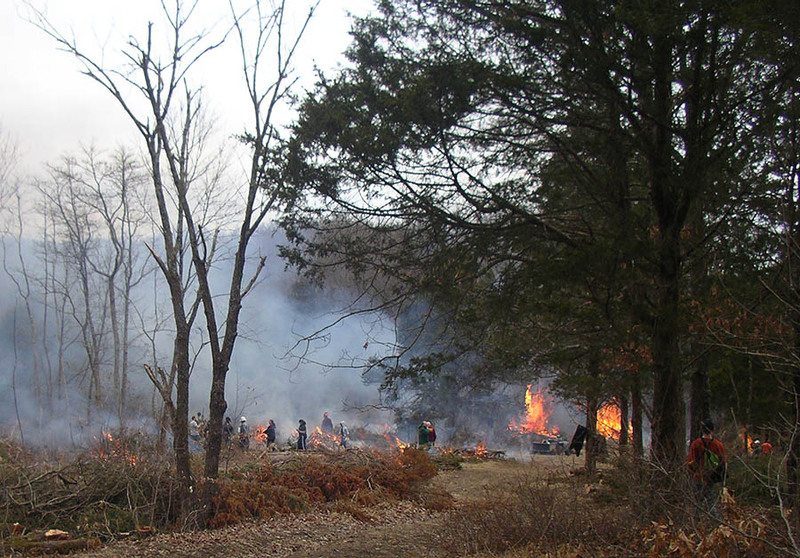 We shovel tested in the middle of burning brush piles! 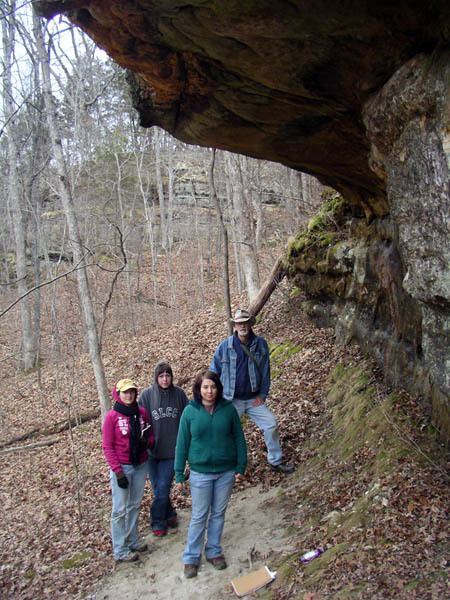 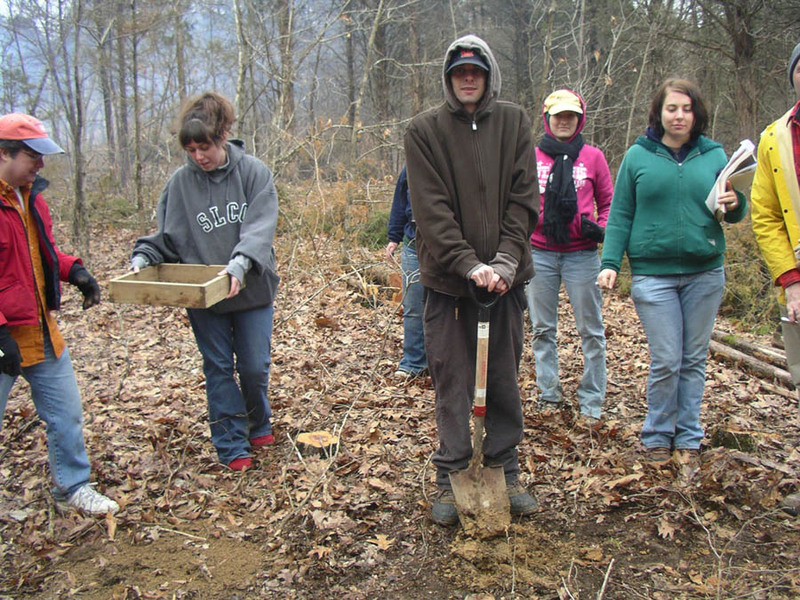 Survey group taking notes on a possible rockshelter.